Evidence of hard times hitting the humble roadside billboard has emerged with the news that Clear Channel has exercised its right not to pay rent on 800 sites this month. The development was reported by The Sunday Times, which quoted a Clear Channel source as saying the decision "reflected a rapid shift among advertisers towards spending on digital displays, as well as concerns about the economy". The source also said: "Potentially we’d have to cut back on our estate on a permanent basis." Not paying rent is understood to be permitted under the contracts Clear Channel signs with billboard owners. The pre-conditions for doing so are unclear, but would logically include the sites not having been booked for any campaigns during the month in question. Clear Channel’s website claims its total billboard portfolio numbers 4,000 sites. The news comes a month after the company restructured its commercial team into a single department under commercial director Chris Pelekanou. A Clear Channel spokesman said the company could not comment on the story in detail. He said: "Classic billboards (alongside other classic formats such as Adshel) continue to offer fantastic benefits to advertisers - especially national broadcast reach at a time when other media are seeing their audience fragment. 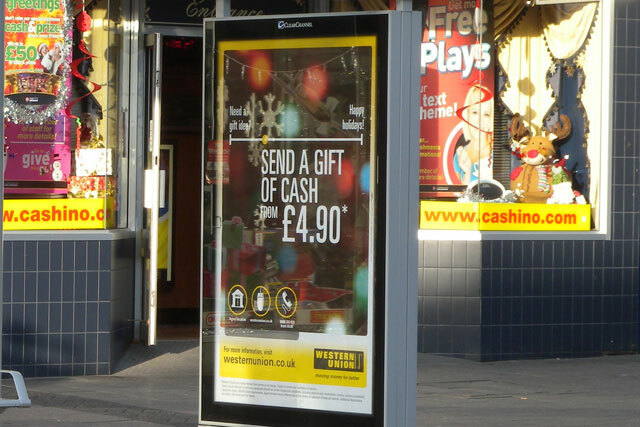 "At the same time, digital is transforming out-of-home advertising. Advertisers are increasingly demanding digital campaigns that can be quickly activated, are contextually relevant to their audiences, or can deliver the kind of Brand Fame that premium digital out of home offers. "We recently announced the return of our Adshel Live digital screens to London, with over 500 screens installed right across London within the next 12 months. "With over 50% of our revenue now coming from digital, our investment is focussed on increasing our Adshel Live network both nationally and in London, our all-digital retail portfolio in supermarkets and malls, and our Super Premium Storm estate."